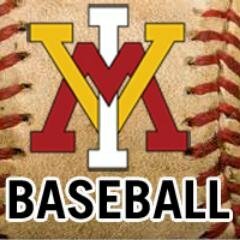 VMI outfielder Matt Pita was named Player of the Year, headlining the award winners on the 2018 Virginia Sports Information Directors (VaSID) All-State University Division Baseball Team, which was announced by the organization Monday. Pita is the first VMI player – in any sport – to receive Player of the Year honors from VaSID, and he was joined by Collin Fleischer (DH) on the first team, while Peyton Maddox (C) and Nathan Eaton (UTIL) were selected on the second team. For Fleischer, Maddox and Eaton, the selection represents the first time any of the now-former Keydets were tabbed for all-state honors. Eaton earned Second Team utility selection after a season that saw him lead the SoCon in steals, and has since seen him move on to hit well over .300 in the Pioneer League. Fleischer became VMI’s all-time home run leader in 2017, while Maddox hit over .300 and started all but four games behind the plate. The Keydets’ four selections were the second-most of any school, trailing only George Mason’s five, and the four choices were also the most in school history, surpassing the three selections in 2010.